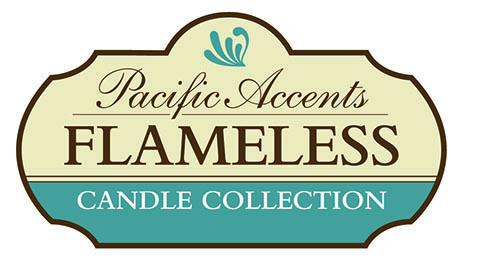 Welcome to the new Pacific Accents online flameless candle store. Pacific Accents manufactures and markets the finest quality flameless candles and candleholders in the world. Our products are sold worldwide. We are especially excited about our newest line of flameless candles called Solare 3D. These candles are unique because they utilize a 3 dimensional moving virtual flame. They feature color-hue technology that gives the flame realistic coloring from the base of the virtual flame to the tip. You will find a wide assortment of candleholders and sconces to fit your style of decor in your home, office, restaurant, hotel or banquet facility.